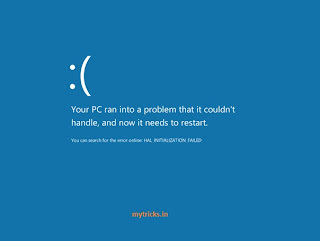 While installing Windows 8 most of user faces ‘Hal_Initialization_Failed’ issue. Most of us wants to test Windows 8 on our favorite Virtulizations platfrom such as VMware workstation 7.1 or VMware vSphere 4.1 or 5. But windows 8 is in its Developer PreviewMode, It is filled with bugs and is not compatiblewith third party software’s.